Mycorrhizae (from ancient Greek "mycos" meaning fungus and "riza" meaning roots") are beneficial fungi for growing plant roots. Roots are only able to absorb water and nutrients from the soil that they are in contact with (called the rhizosphere in scientific parlance - a great word in our opinion that we will subsequently overuse). You (the gardener) generally want the largest rhizosphere possible for your plants, especially in dry climates or places with poor soil. However,.the goal of the plant is to grow above ground and produce seeds for propagation of the species. This leads to an challenge and an opportunity - how do you expand the "rhizosphere" while allowing the plant to focus on photosynthesis and fruiting? Luckily, nature has a solution for us - mycorrhizae. Mycorrhizal fungi, just like all fungi, cannot grow without getting an food source (they are heterotrophic, like animals). For this they need the roots of plants to provide them with sugars. In exchange, the mycorrhizae greatly expand the surface area of the of the "roots" by attaching and allowing the roots to collect water and nutrients from more numerous fungal filaments. This is seen below - with the corn root appearing much larger than the mycorrhizal fungal root (meaning the corn gets a larger rhizosphere). 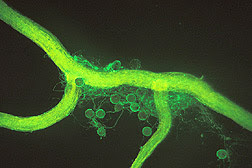 A microscopic view of an arbuscular mycorrhizal fungus growing on a corn root. The round bodies are spores, and the threadlike filaments are hyphae. The substance coating them is glomalin, revealed by a green dye tagged to an antibody against glomalin. Just as roots are not generally considered when gardening, root fungus is thought about even less. We first heard of mycorrhizae when we discovered the Waterboxx, a brilliant invention to harvest dew and rain water to grow trees and other plants in the desert. We were not sure of how effective these fungi would be in helping roots until we saw the experiments of our friend Bill McNeese, an expert gardener in the near desert in Southern California. After his results, we decided we needed to try out mycorrhizae in a controlled experiment, to see how much they improved growth. 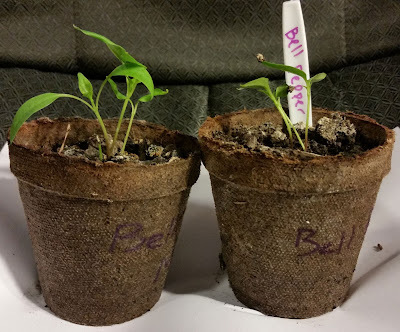 Bell peppers, with mycorrhiza added on left and none added on right - again, the mycorrhizal group had better germination and growth, although not quite as pronounced as the Kellog's Breakfast tomatoes and the Carnival peppers. 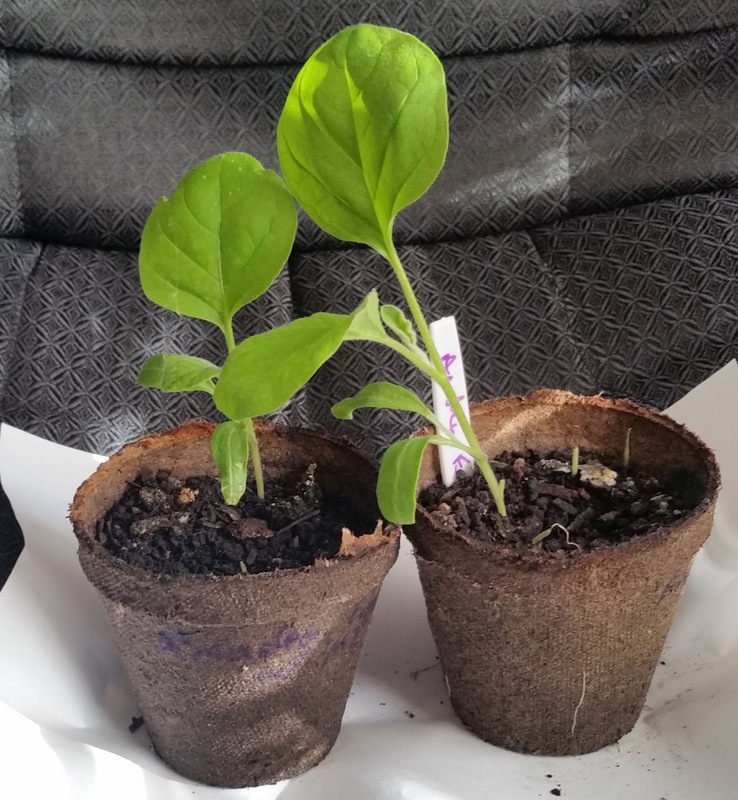 Amadeo eggplant, with mycorrhiza on left and none on right. 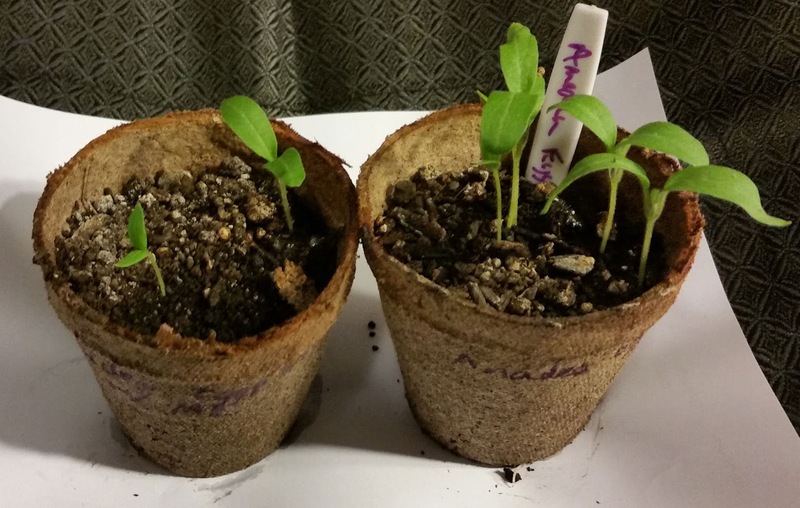 We are not sure why germination rate is higher with the non-mycorrhizal group for this plant. In all but one of the experiments, the seeds with mycorrhizal fungus germinated better and grew faster than those without. We are not sure why the eggplant did not grow better with mycorrhizae - we will be testing if this is true across all species of eggplant with later experiments with Japanese and white eggplants (check back often). We used "Mykos" brand Rhizophagus intraradices available on Amazon here. We used only a very small amount of mycorrhiza (we used a forceps/tweezers to grab about 1/2 inch of mycorhizzal granules between the two parts of the tweezers). 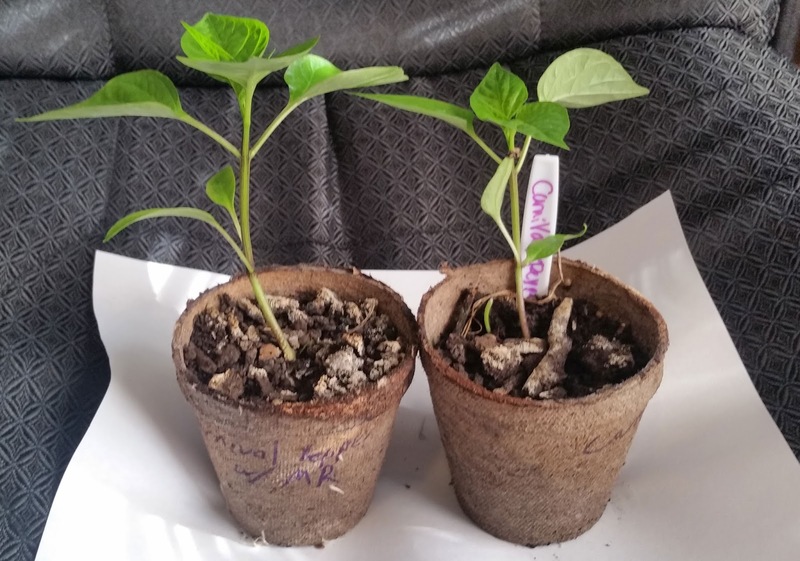 We believed that the mycorrhizae would of course proliferate on their own, and there was no sense putting down more mycorrhiza than what could immediately surround the new plant roots. As the mycorrhizae are somewhat expensive, this also allows us to conserve resources. What can we conclude from our miniature experiment. Well - first, not everything grows better with mycorrhizae, at least not the type we used (see below). 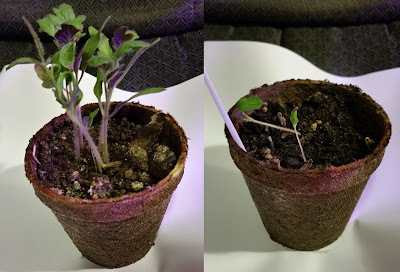 Eggplants, in particular seem to grow more slowly with mycorrhizae than without. 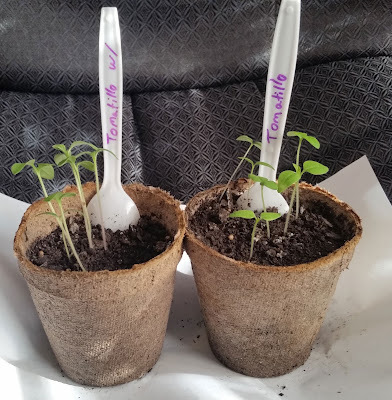 Tomatillos did not seem to have much difference between the control and test group, but Kellog's Breakfast Tomato grew a great deal more with mycorrhizae. 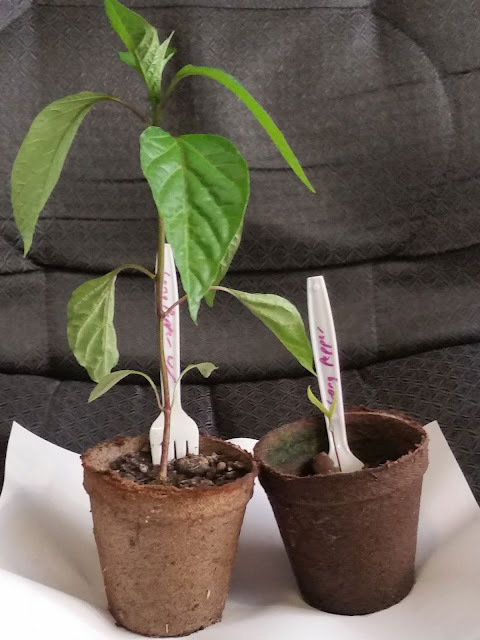 The consistent improvement we saw in different pepper varieties with mycorrhizal fungi, however, was impressive. Our sweet, long tall peppers in particular did much better with mycorrhizae. We plan to use mycorrhizae when planting peppers in the future. 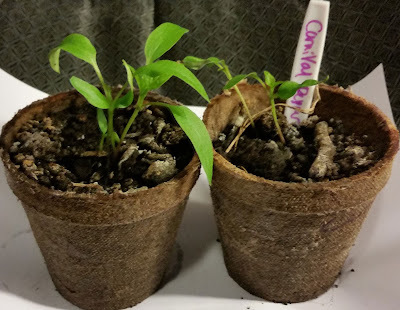 For commercial growers who happen to be reading this - growing peppers with mycorrhizae and with the Waterboxx may be an ideal, low water, low work way to have large harvests of high value goods. 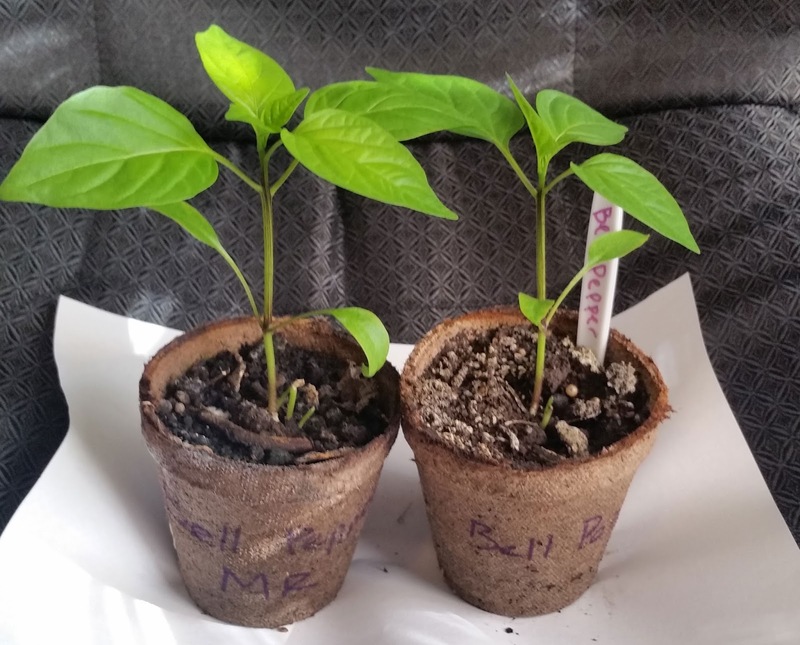 For the average gardener in a dry climate - the Waterboxx and mycorrhizae may allow you to not water your peppers at all after outdoor transplanting - all while growing fresh, delicious, sustainable produce. We plan to plant all of these plants in our garden using the Groasis Waterboxx. After planting and Waterboxx set up, we will not water them again for the entire growing season. Between the Waterboxx collecting dew and rainwater, and funneling it to the plant roots, and the mycorrhizae increasing the rhizosphere, we expect these plants to do excellent without any manual watering, and produce large numbers of fruits and vegetables. We will have other blog posts with our results after outdoor transplanting. If you would like to know more about mycorrhizae (from an academic source), see here. If you would like to know more about the Waterboxx and how you can garden without ongoing watering, see here. Feel free to contact us with any questions by leaving a comment below. How Does Nature Harvest Dew?